In one of the most unusual tales to come out of this semester, one student dives deep into the appearance of some the residence halls’ newest residents. The time for ghosts and ghouls has passed; Halloween has come and gone once again, giving way to an atmosphere of thanksgiving and good tidings for Christmas. Or has it? Shadowy figures still haunt the Regent University Commons. Who are they? None other than Zayn Malik from One Direction and Ultron from the second Avengers movie. Not the real ones, of course, but cardboard versions that watch from the windows of the Residence Halls. In the beginning, there was only Zayn. Within the first few weeks of school, he appeared in Foundation Hall. Zayn is very active; he moved from window to window and floor to floor as the semester continued. For a few days, he even had a change of clothes! Weeks after Zayn’s debut, Ultron made an appearance in Constitution Hall, scaring people as they walked back and forth from class. With a prime location on the first floor, his silhouette spooked late night wanderers. While the owner of Zayn would like to remain anonymous, Will Moore and Joshua Volker weren’t shy about Ultron’s spooky shenanigans. The initial reaction to these cutouts is why, and the answer is actually fairly simple: opportunity. “I was going off to college,” Zayn’s owner said, “and there was no way I could leave Zayn behind when I had this opportunity in front of me. So, I decided to bring him to make my life a little bit spicier.” The Ultron guys’ story was very similar. 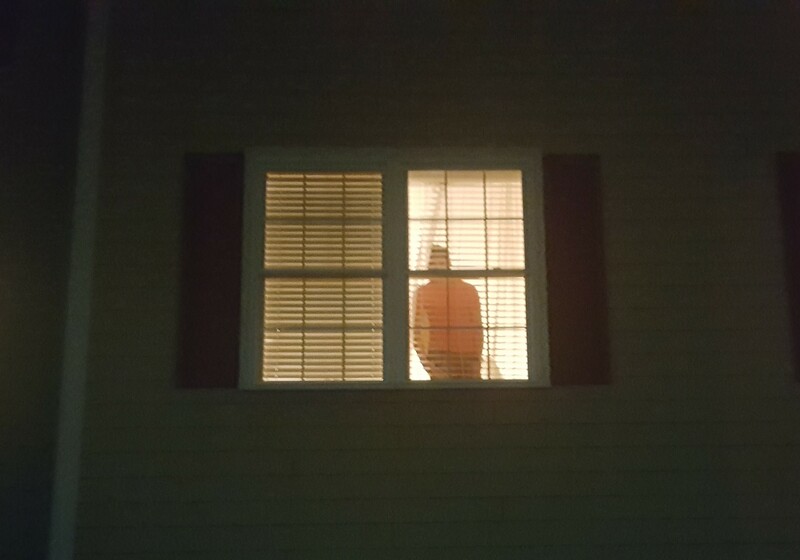 After buying the cutout off a friend, they decided to put it in a window facing the parking lot. “We didn’t know where to store him, and it wasn’t going by the bed,” Volker commented. While people might assume men would be more eager to cause mischief, it was the ladies who really showed a passion for pranks. To keep things fresh, Zayn’s owner has gotten various people in on the joke as well. A lot of girls in Foundation Hall have housed Zayn for the night and managed to keep his origins a secret. Though Moore and Volker said they would switch things up soon, Ultron has remained a largely static entity. The guys might not view it this way, but Zayn’s owner sees Ultron as her rival. Only time will tell if this clash of cardboard will escalate. For the most part, it seems that the people living in the Commons enjoy the cutouts’ presence. One student reported she convinced her friends that Zayn was someone’s commuter boyfriend who stood in the window every single night. Other students have gotten involved whether it be housing Zayn or snapping pictures. These shadowy figures brought some much-appreciated excitement to the semester, but as the year goes on can Zayn and Ultron continue bringing flavor to the Commons experience? This student is eagerly awaiting the cutouts’ next moves. Sara Waits is a contributor to the Daily Runner.